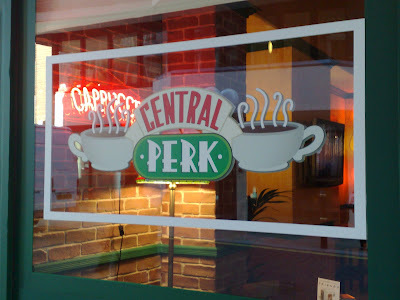 Friends Central Perk London - coffee shop re-created off Carnaby Street to celebrate 15th Anniversary! 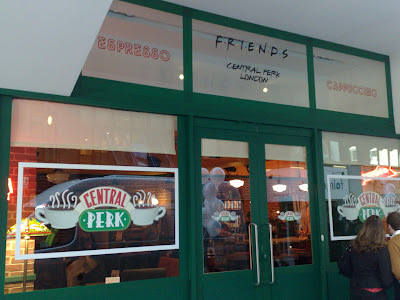 To celebrate the 15th Anniversary of Friends and the launch of the new Complete DVD Boxset, Warner have re-created the Friends Central Perk coffee shop in central London! 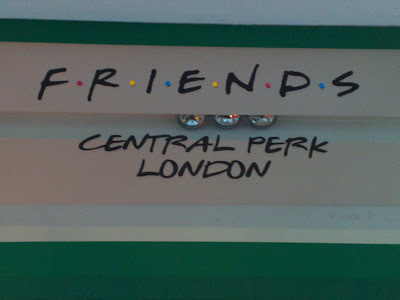 The real life Friends Central Perk coffee shop is located at 67 Broadwick Street (off Carnaby Street) in central London and is open every day from 9am to 6pm. 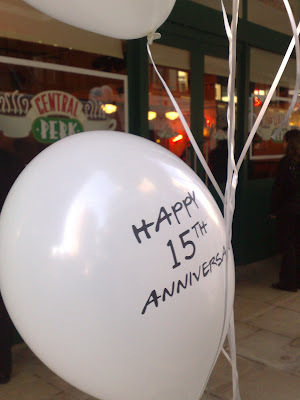 Creating a real life experience around a long established franchise, the Central Perk London coffee shop is a quirky way of bringing the anniversary to life - and something that seemed to be making everyone who walked past smile. 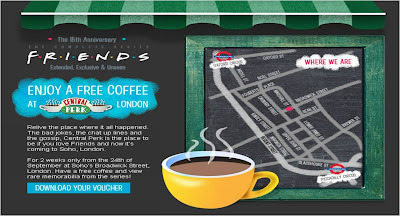 and clicking here will take you to a PDF voucher that you can print off for a free coffee from Central Perk London. I ABSOLUTELY LOVE IT!!!!!! It is still open this days? It would be so nice everyday going for a coffe there! :D Im a big fan of Friends, best show ever !